I spent almost all day yesterday scrappin' away and trying to get out from under all the iNSD (international Scrapbook Day) emails, promotions, freebies, and sales. It was all a bit overwhelming. Also, Stuff to Scrap is celebrating their 2nd birthday, so all kinds of extra challenges and freebies available. First up is a new release from Scraps by Andrea called Robotics. 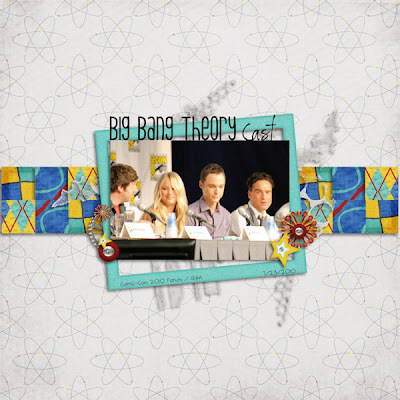 Such a fun, cool kit...and it worked perfectly for all the Big Bang Theory pictures I have from Comic Con 2010 in San Diego. 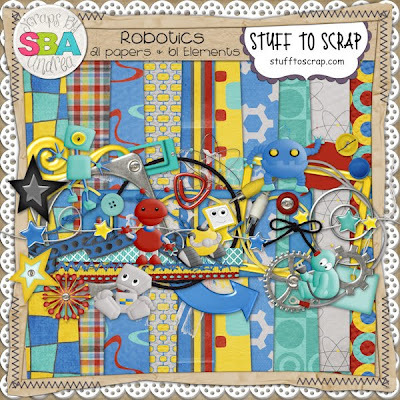 It's got some robots, gears, stars, and lots more goodies that are perfect for scrapping your little guy too! It's 40% off this weekend only, making the kit $2.39! Here's another layout I created using a Scraps by Andrea kit - Easy Living (with the alpha from her Sweet Pea kit). 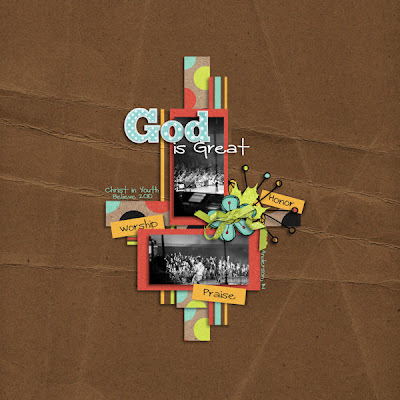 I created this one for the 1st Progressive Scrap going on at Stuff to Scrap. The 2nd one started today. I created this one for the STS Birthday Recipe Challenge. I used Jady Day Studio's kit, Just My Luck available at ScrapMatters. I created this one for the STS Birthday Song Lyric Challenge. 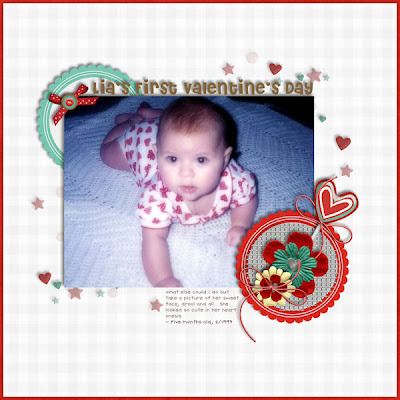 I used Manda's Scrappin' Creations' How I Love Thee kit.